In the history of bad ideas, creating a robotic velociraptor seems like it would rank near the top, yet that is exactly what scientists in Korea have done. OK, so it doesn't have teeth or claws or the ability to devour a whole cow in seconds. But it can run extremely fast. 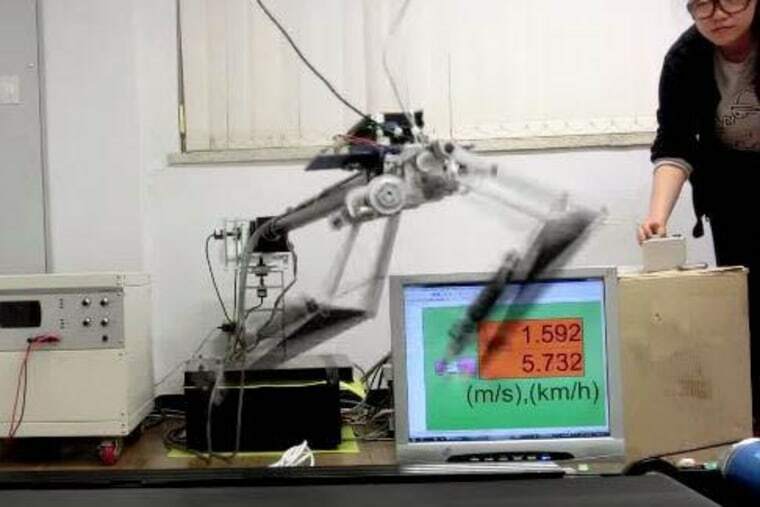 Scientists from the Korea Advanced Institute of Science and Technology gave their robotic dinosaur a tail for balance and an Achilles tendon to absorb shock. Its top speed: 28.58 miles per hour. Of course, that is attached to a tether with an off-board power source. Still, if velociraptors in "Jurassic Park" can figure out how to open doors, maybe this robot can learn to break free of its constraints. Clever girl. Now someone just has to race it against DARPA's Cheetah Robot.